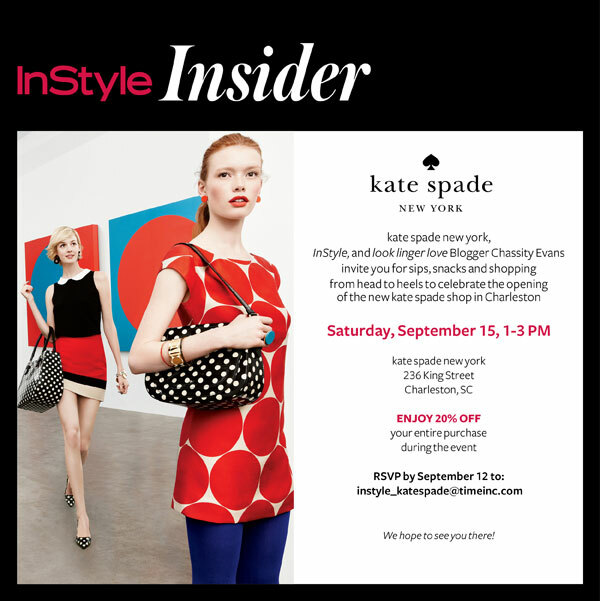 If you’re in Charleston tomorrow (Saturday) stop by to see us between 1 – 3 PM and get 20% off purchase. We’ll have a good time, pinky swear. How do you not smile and giggle with polka dot heels on. LOVE. Have a great time the event. Jealous. I wish I was in Charleston for this event. My fiance and I may be looking to relocate to the area next summer. Far away, but if so, I would LOVE to meet up. 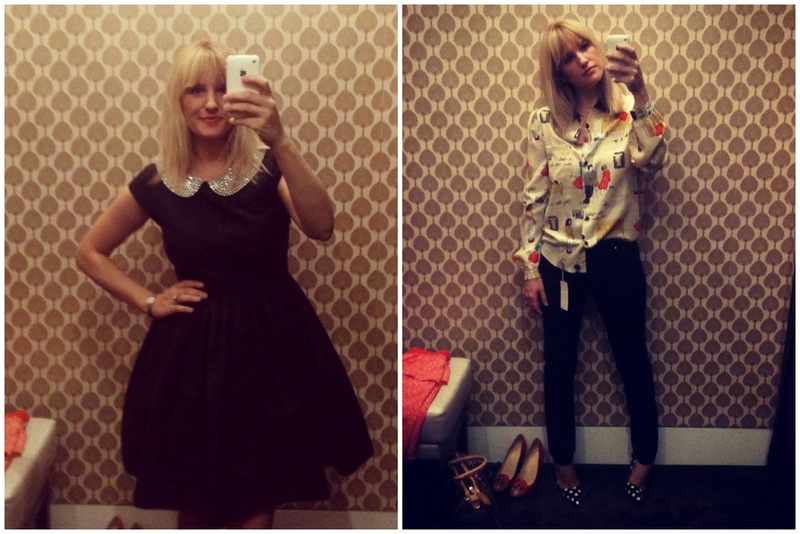 Cannot wait to hit the Kate Spade store when I am in town. Have fun and love the photos!!!! Oh how fun! Which one did you end up with? I vote for Adelle ;) But they all are fabulous! Loving that red adelle dress but I think you need the kimberly. So fun! And those shoes, lawdy, they are fab. Have so much fun today dear! 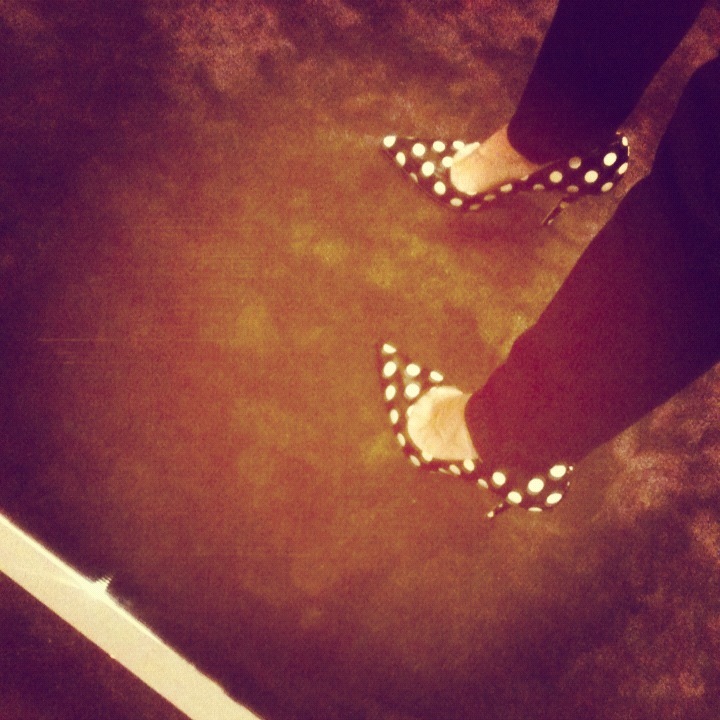 Love the polka dot heels! Hot mama! 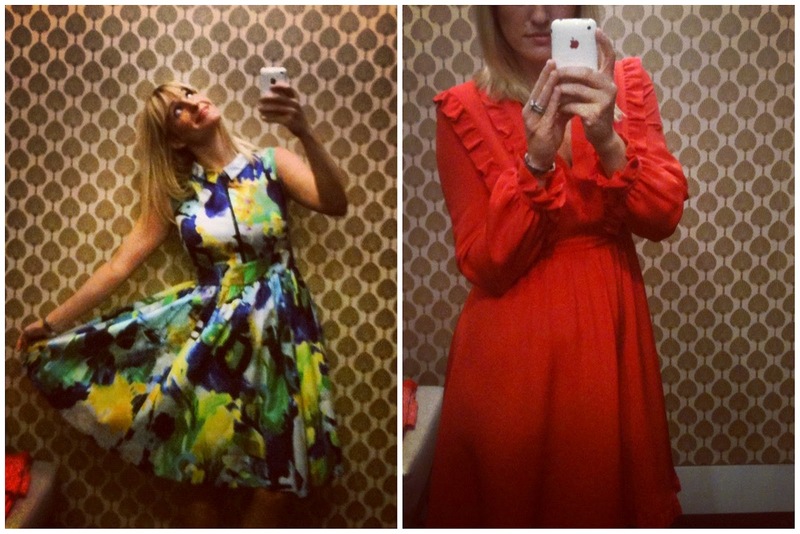 Oooh I love all of those dresses! And the heels are awesome! I am partial to the Kimberly, perhaps because we share a name ;) I would die if I could get that in my closet! A girl can dream!